Some will read this and immediately wonder if the ground has frozen over beneath them. 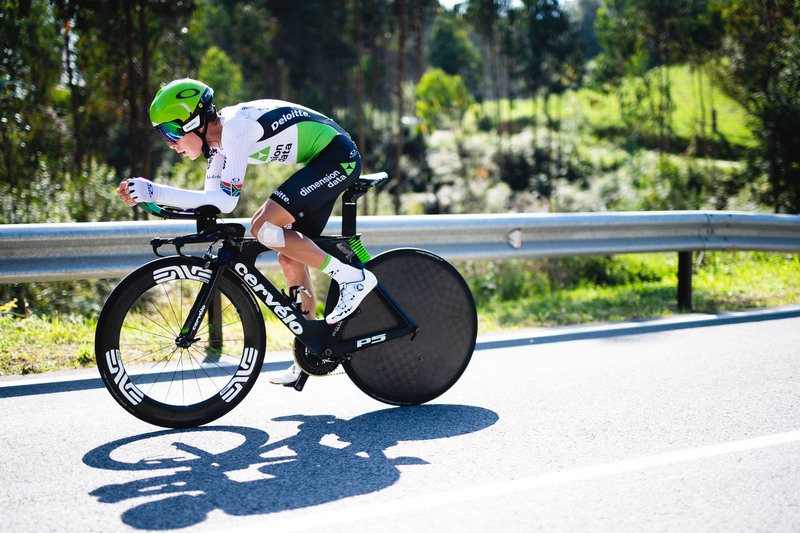 ENVE has finally built a disc wheel. And for those that may not understand, Enve has long stated that the SES 7.8 rear wheel is the fastest wheel they could build. 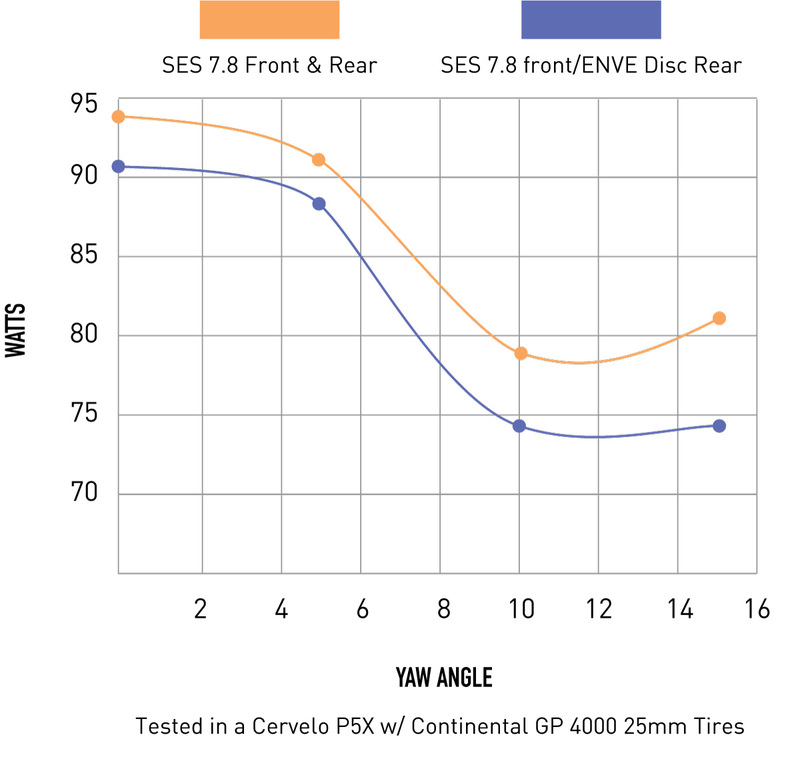 But not all riders are equal – and as ENVE’s VP of Product and Consumer Experience Jake Pantone commented, “It is true that our SES 7.8 rear wheel is a faster/better solution versus a solid rear disc for most athletes. It really comes down to the course profile, their level of experience, and the average speeds that the rider will achieve. For riders that will average over 27mph/43kph, a rear disc will prove a faster solution on certain courses. If you’re riding under those speeds, the SES 7.8 will be a faster solution as it was developed and optimized for the lower average speeds that your typical elite long distance triathlete will see over 112 miles.” So for those that routinely travel over 27mph what has ENVE crafted? Let’s dive in a take a look. 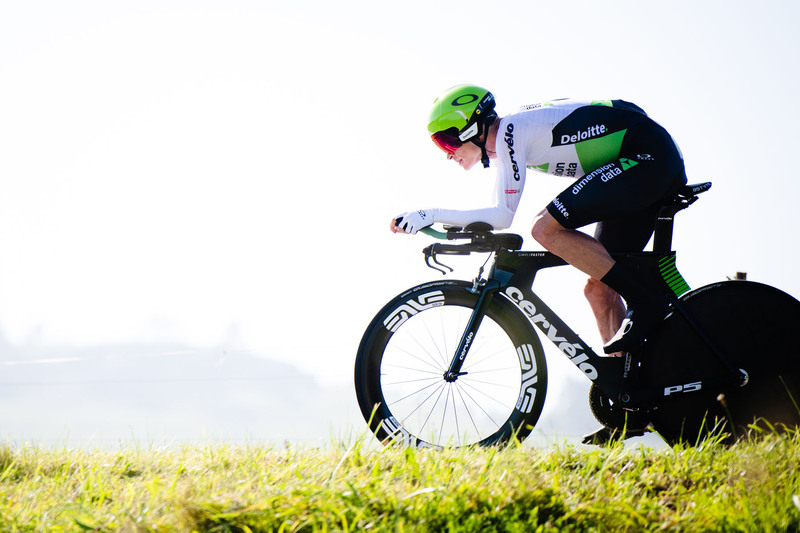 The SES Disc is the result of a nearly two year development project whose goal was to deliver best in class aero performance for elite amateur and professional athletes looking for the absolute fastest rear wheel. 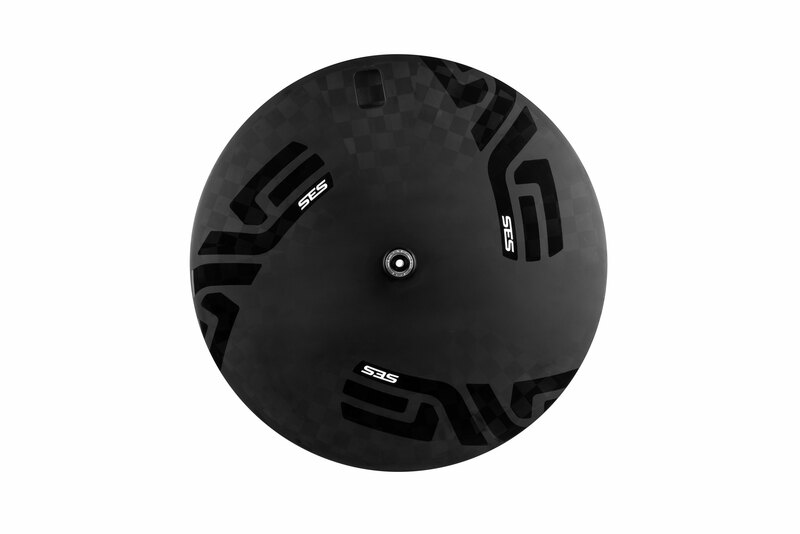 The SES Disc features a unique one-piece molded construction that is free of bonding with the exception of the hub shell. The backbone of this one-piece molded construction is a machined PMI core sandwiched between Spread Tow Carbon Fibers. This construction method strengthens the wheel considerably while also saving weight, allowing the SES Disc to weigh in at an 1225 grams. Like all SES wheel models, the SES Disc is tubeless compatible. 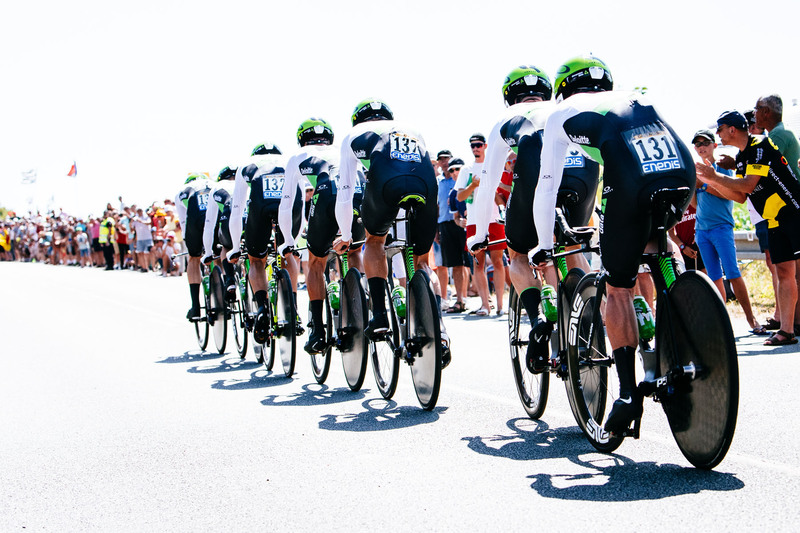 “Tubeless compatibility proved to be a challenging proposition in the development of the SES Disc, but given the performance advantages inherent to tubeless, it was a performance requirement for this project. The bead stiffness of a quality tubeless compatible road tire applies enough pressure to the rim that it relieves laminate tension and the wheel moves out of dish. We solved this problem through a combination of laminate design and tooling offset so that when a tubeless tire is installed and inflated, the wheel moves into dish,” stated Engineer Clint Child. 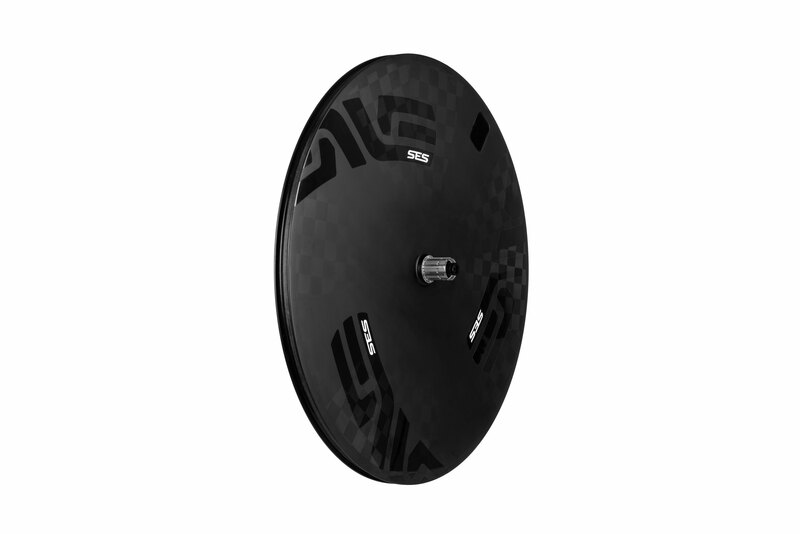 The SES Disc wheel model is available in both rim and disc brake specific designs. The rim brake version features ENVE’s full carbon, molded-in texture, brake tracks that allow for 30% less braking force at the lever to achieve the same braking power as a non-textured carbon braking surface. Additionally the brake track’s texture allows for near equal braking performance in both wet and dry conditions. The SES Disc rim brake model features a hybrid carbon/alloy hub with the non-drive hub shell being constructed of uni-directional carbon fiber while the drive-side hub shell is machined aluminum for precision integration of the driver body, and its 40t ratchet style drive mechanism. The disc brake model is Center Lock compatible and features the same 40t ratchet style hub, but with a full alloy construction. The hub design delivers responsive acceleration and reliable performance over time. The SES Disc is covered by ENVE’s 5 Year Warranty and will retail for $2700 USD and 2875 EUR respectively. The SES Disc will begin shipping at the end of October to ENVE distribution and retail partners worldwide. The disc brake version will begin shipping at the end of November to ENVE distribution and retail partners worldwide. And the second we hope to answer when we get one in house to play with. Until then stay tuned to AeroGeeks.com for the latest from Kona!